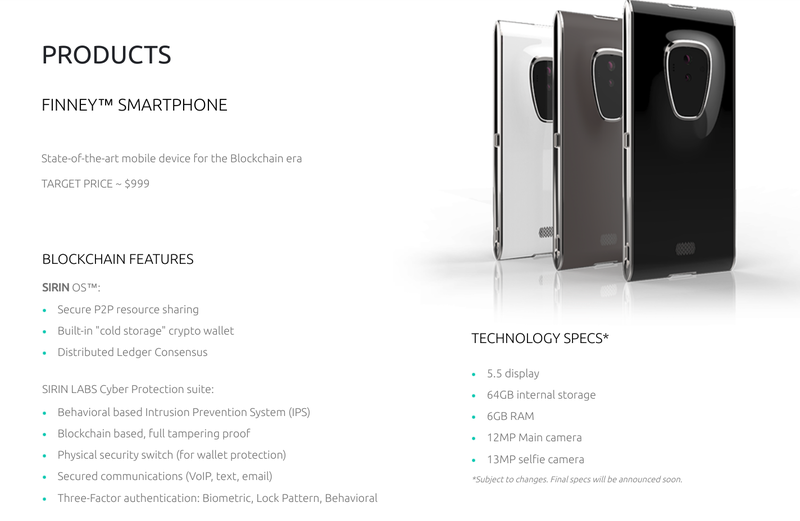 Blockchain Smartphone: The Future of Mobile? Introducing the world’s first smartphone with a blockchain app! The news sounds apocryphal. Until you ask yourself. What is it? And why do I need it? Switzerland-based Sirin Labs collaborated with Taiwanese firm Foxconn, to unleash a $999 Finney phone that also handles virtual currency. So, say you want to pay your Uber driver in Bitcoin, your Finney does just that, adding enhanced security with a physical switch that handles all coin-related activities. Down the line, users will verify their identities with an iris scan, a fingerprint and a simple password. The goal is to make using Bitcoin and its variants as easy as possible. The phone is slated to ship in October to eight cities, including Vietnam and Turkey. Sirin has already received more than 25,000 pre-orders, and hopes to sell between 100,000 and a few million units. Most people, however, remain unacquainted with blockchain. They wonder whether they need the phone, at all. The blockchain is a chain of thousands, maybe billions, of computers where no one company or business owner controls your data or manipulates what you read. That means you control your content and assets and it also means that among other benefits - no one can sell your personal information without your consent. Blockchain has become best known for running digital money along its peer-to-peer chain. Actually, people use blockchain for a massive range of schemes from West Virgina piloting a blockchain voting app to Facebook competitior Minds.com supporting a free and open source social networking platform. For one, the Finney blockchain gives you the greatest security that you can get (although blockchains are still breached). This is because this so-called public ledger is transparent, which means all the computers on its network see your transactions. If fictitious Tom O. Neary tries to nip your account, all users of Finney’s particular platform will trip him. Aside from that, the smartest of connivers will have to crack millions of computers to grab your stash. In contrast, online banks and financial institutions are centralized by just one authority. At last count, nearly 2 million Americans have had their checking accounts raided by criminals. Gartner researcher Avivah Litan blamed fragile computer security for this. Blockchain also gives you faster and cheaper service. With blockchain you’re basically retreating to the oldest mode of payment, which is where one party has the coin, the other party has the item, and the two parties simply exchange assets. Because there are no intermediaries, the transaction is faster and cheaper than it would otherwise be through lawyers, realtors, notaries, and the like. You’re simply swapping money, land, a job, or anything else hand-to-hand. The transaction is witnessed by everyone else on the network - which gives you the needed security - and it’s over in minutes. One of the situations where blockchain thrills is remittance, where migrant workers, like non-resident Indians (NRIs), remit their money back home to unbanked regions. The money reaches recipients almost in minutes and costs the sender about 1% of the price it would naturally cost to send through remittance services, WU, or payment gateway systems (if he had that choice). Blockchain is a simple system. Say you want to send data to a company, you need to have the correct email and/ or correct URL for your data to arrive. The larger the company, the more likely your data strays. With blockchain, your data is routed to all the ‘nodes’ on the network. It’s replicated and updated on each, so your data reaches its destination, since the blockchain is a single shared ledger. If you’re an entrepreneur or business owner, you may also like Finney blockchain because of its customer centricity capabilities. You can streamline and automate communication with your customers - your communication is transparent. This leverages your level of trust. One of the minuses with blockchain is that anything you encrypt (i.e., transact) on its ledger cannot be edited, changed, or reversed in any way. So there are no refunds or chargebacks. There's also no consumer bureau or customer complaint service to appeal to. What this means is you have to be utterly certain that you trust the other party, as well that you want that product or service. There’s also no confirmations that the money comes through. 99.9% of the time it does, but unlike PayPal or your bank that confirms your transaction, Bitcoin aficionados reject niceties expecting you to trust them. Blockchain is slow because of capacity issues. As its volume increases, its platform becomes clogged, which means that if you and millions of others use Finney’s blockchain app, expect payment and transaction delays. Bitcoin is also slow because of performance issues. Since blockchain is a chain of computers, blockchain-based transactions can only complete when all parties update their respective ledgers – a process that might take hours. As the chain expands, people question whether it will bog down. Most of all, Blockchain’s gravest problem is that too few people use its technology. In the US alone, only eight percent of Americans have invested in digital tokens, according to Finder.com. First, most investors prefer to hoard rather than to spend Bitcoin, believing the longer they hoard it, the more Bitcoin will increase in value. Then again, Bitcoin’s notorious volatility makes it an unreliable currency - which is why most merchants refuse to accept it. Some companies tether alt currencies to stablecoins like gold or the USD, but there are problems with these, too. Most of all, many people still have never heard of blockchain, and if they have, they find the technology intimidating and unnecessary. There are other concerns regarding Finney, too. Writer Scott Adam Gordon of Android Authority has a rather negative review of the phone and its company. He reveals its ideas to be too ambitious, its proposals risky, and its crypto-coin economics pie-in-the-sky thinking. Time for that OnePlus 5T.